As you know, Gliebers Dresses is a fictional story of a Catalog Executive Team dealing with modern marketing challenges. If a brief fictional story doesn't meet your expectations for a Friday morning in late March, please read this article, an article with omnichannel repercussions (click here). Glenn Glieber (Owner, Chief Executive Officer): Ok, ok, enough discussion about the basketball tournament. My bracket is officially broken, and I don't need additional heartache. Lois Gladstone (Chief Financial Officer): Roger, who is the young lady sitting next to you, and why is she attending our Executive Meeting? Roger Morgan (Chief Operations Officer): She is beautiful, isn't she? Ashley Cole (Vice President, Client Relations, Omicron): Roger, stop it. Pepper Morgan Pressley (Chief Marketing Officer): Her name is Ashley Cole, and yes, Roger, why is she here? Ashley Cole: Roger invited me to talk about some of the new developments at Omicron. Glenn Glieber: What is Omicron? Ashley Cole: We are the leading provider of name services in the omnichannel industry. Glenn Glieber: I have no idea what that means. Pepper Morgan Pressley: Omicron is the leading co-op in the catalog industry. We give Omicron our most recent buyers, on a weekly basis, for free. Meredith Thompson (Chief Marketing Officer): For free? Pepper Morgan Pressley: Don't worry, it's a catalog marketing best practice. Meredith Thompson: What do we get in return? Pepper Morgan Pressley: We get the right to select recent names at a cost of six cents apiece, and then we get to mail the names exactly one time. If the customer purchases, we get to keep the name and address in our database. If the customer doesn't purchase, we have to go back to Omicron and purchase names again for the next mailing. Lois Gladstone: And again, and again, and again, in perpetuity. Roger Morgan: The bean counter exhibits her bias. Lois Gladstone: I have a bias against wasting money, yes. Roger Morgan: How else are we going to acquire new names? Our customers are too old to shop the internet. We failed to craft a reasonable omnichannel strategy, so now we're at the mercy of Omicron. Ashley Cole: I think what Roger meant to say is that Omicron is a valued business partner. Meredith Thompson: Business partners don't rip off clients. Vendors rip off clients. Ashley Cole: We don't rip off anybody. Meredith Thompson: Oh come on. Ashley Cole: You get a good customer discount of a quarter of a cent per name. We're adding a lot of value. Meredith Thompson: Tell me this, Ashley. I recently purchased from a handbag catalog. Two weeks later, I'm on Facebook, and my content seems to be mysteriously skewed to online handbag companies. Tell me how that happens? Ashley Cole: That's all part of our "symbiosis" model. We work terribly hard to get you the most responsive names in our database. In return, you agree to allow us to generate revenue by offering your names to leading online marketers looking for access to recent purchasers. Lois Gladstone: You are renting our names to Facebook and to online marketers? Lois Gladstone: Are you nuts? Roger Morgan: Lois, be professional. Ashley Cole: I'll address the question. Our symbiosis program allows Omicron to better understand the complex relationship between catalog marketing activities and subsequent online marketing behavior. We use this information to better inform derived attributes in our symbiosis model. Lois Gladstone: So we give you names for free, correct? Ashley Cole: And we appreciate your partnership. Lois Gladstone: Then you sell comparable names back to us at six cents apiece, is that right? Ashley Cole: You're not paying six cents. You are leveraging your catalog marketing program to generate new customers that have a lifetime value that more than offsets the cost of cooperative renting. Glenn Glieber: Sounds good so far. Lois Gladstone: No, not good. We give names for free, then we rent names for six cents a piece, over and over and over again, right? Lois Gladstone: We could rent the same name thirty times a year, if the name doesn't respond, is that right? Ashley Cole: It's been that way for more than twenty years, and nobody complains. Roger Morgan: Same old same old. Lois Gladstone: Can we see reporting that helps us understand how many times we repeatedly rent the same names from you? Ashley Cole: Oh heavens no. We cannot do that. Lois Gladstone: You cannot do that, or you won't do that? Ashley Cole: It's not part of our business model. You just need to trust the models. Meredith Thompson: Pepper, how are Omicron names performing? Pepper Morgan Pressley (thumbing through a thick stack of documents): In 2014, Omicron names performed eighteen percent worse than in 2013, and in 2013, Omicron names performed fourteen percent worse than in 2012. Meredith Thompson: For the love of God. Roger Morgan: Don't bring religion into this, we'll get Glenn started and he won't quit. Meredith Thompson: So your names are down about thirty percent over a two year period of time? That's horrible. It's any wonder our business is taking. It's your fault. Ashley Cole: It's hardly my fault. Meredith Thomspon: Well it isn't Roger's fault, we know that. Meredith Thompson: And it cannot be my fault, because our housefile names are performing at comparable levels to 2013 and 2012. We offer the same merchandise to prospects as we offer to housefile names. That's puts accountability for business performance squarely on you. Ashley Cole: How am I accountable for your problems? Meredith Thompson: Your symbiosis model is clearly not working properly. And then you take the names we contribute, and you sell them to online marketers. You're probably shifting our business to online marketers. Ashley Cole: Online marketers don't compete with you. Meredith Thompson: Roger has spent six years telling us that all omnichannel businesses compete against each other, so don't tell me something I know that Roger believes to be a fact because he purchased a white paper from Woodside Research. Roger Morgan: So you have been listening to me!? Meredith Thompson: Do we earn any list income when you sell our information to online marketers? Ashley Cole: That's not the purpose of a symbiosis model. Meredith Thompson: Is the online marketer required to contribute their names to your database, so that we can have access to those names? Ashley Cole: They wouldn't rent our names if we forced them to contribute their names to the database. Companies like Overstock.com are not stupid! Lois Gladstone: You must think we are the dumbest marketers on the planet! Ashley Cole: I think you are being distracted by minutia. Lois Gladstone: I am being distracted by your hubris. Ashley Cole: There is nothing wrong with renting our names to online marketers. Lois Gladstone: She said our names, as if we share them. Meredith Thompson: Let's follow the money. We give you names for free. You sell names back to us. You then model our names and rent them to online marketers. You get paid twice. We get performance that is down thirty percent over the past two years. Ashley Cole: You need to give this symbiosis model a chance. Pepper Morgan Pressley: Ashley, we've used the stupid model for two years - the exact two years when our performance slumped! Ashley Cole: Pepper, we've had this discussion every month for the past two years. I keep telling you, you have to trust the model. Trust the model. Pepper Morgan Pressley: I don't have time to trust the model. If I keep working with your organization, and I keep delivering horrific business results, I get fired. Lois Gladstone: Ashley, can you tell us the attributes that are in the symbiosis model? Ashley Cole: I can't do that. If that information got out, we'd lose our competitive advantage. Lois Gladstone: So you cannot tell us how you select names in a symbiosis model? Lois Gladstone: And you cannot tell us if we have rented the same names from you for each of the past thirty mailings? Lois Gladstone: And you are going to continue to rent the names we give you for free to online marketers, but online marketers are not required to give you their names for free so that we can rent online names from you because online marketers are not stupid? Lois Gladstone: And you are not going to share the list income you derive by renting our names to online marketers, names we give you for free. Instead, you will keep all of the list income for yourself, correct? Lois Gladstone: What kind of car do you drive? Roger Morgan: She drives a Tesla. You should see it! Lois Gladstone: I'll bet she's a beauty. Roger Morgan (glowingly beaming at Ashley): She sure is! Lois Gladstone: Maybe Pepper or this vendor needs to be fired. Roger Morgan: Oh come on, you can't be serious? Ashley Cole: Roger brought me here to talk about some of the exciting new products we have in the works for later this year. Are we ever going to get to the topic I was asked to address? Pepper Morgan Pressley: Why do you want to fire me? Fire Roger. He brought Ashley to our meeting. He isn't even responsible for her. Roger Morgan: You cannot fire Pepper. Pepper is following established industry best practices. Nobody should be fired for following established industry best practices. Meredith Thompson: Then we have to fire Omicron. Roger Morgan: We can't do that! Meredith Thompson: What you do mean? I fire vendors every day. Roger Morgan: We don't have a credible method for replacing the names Omicron finds for us. Am I right, Pepper? Pepper Morgan Pressley: Strangely, yes. Meredith Thompson: So what you are saying is that, without Omicron, we cannot acquire enough new customers. We need Omicron, and the more we need Omicron, the more money Omicron makes by selling our need to online clients? Meredith Thompson: It's 100% your fault! Ashley Cole: You have had twenty-five years to diversify your new customer portfolio by finding new customers online. Online companies thrive by finding low cost new customers in digital channels. In many ways, online acts as a form of free marketing. Ashley Cole: Twenty-five years, folks. And instead of finding new customers via online channels, you chose us. Granted, we're happy about that. But you should have pursued an omnichannel approach to new customers. Lois Gladstone: This comes back to Pepper. She's accountable. Pepper Morgan Pressley: Where is Dr. Gene Feldman when you need him? Why isn't he here? Glenn Glieber: Feldman? I fired him yesterday. He wanted to open stores in Canada. He thought Montreal was a logical extension of the New Hampshire core customer audience. Pepper Morgan Pressley: Isn't that what an Executive Vice President of Global Brand Direction is supposed to do? Isn't he supposed to author Global Brand Direction? Glenn Glieber: I don't even remember why I hired him anymore. Ashley Cole: By firing him, you deny yourself an opportunity to find new customers via an omnichannel approach. Glenn Glieber: By firing him, I don't have to hear him drone on and on about how he invented menu items when he worked at Taco Bell. There are only so many ways to pour hot cheese food over a corn chip. Ashley Cole: So you fail to acquire customers online for twenty-five years, and you fire a guy who wants to consider opening stores in international markets. Your response to not diversifying your customer acquisition strategy is to chew me out for twenty minutes and to then consider firing the Chief Marketing Officer, a woman who has no choice but to use my services because you take away any other opportunity for her to find new customers. Is that how things work around here? Roger Morgan: They've been mocking me about omnichannel strategies for a decade. Lois Gladstone: I think we're a bit off topic here. How are we going to reverse the decline in performance of Omicron names? Ashley Cole: Trust the models. Glenn Glieber: I'm glad we settled that topic. Meredith Thompson: We haven't settled anything. Somebody is accountable for ruining our ability to acquire customers. I think it is Ashley. Lois Gladstone: Financially, we cannot allow this to happen. If Meredith's merchandise productivity dropped by 30% over two years, she'd be fired. Roger Morgan: And under what circumstances would you, Lois, deserve to be fired? Lois Gladstone: That's the great thing about finance, Roger. You get to point out what everybody else does wrong, and unless you do something unethical, you're in good shape. Roger Morgan: We should not beat up Pepper. Lois Gladstone: Who, Roger, is going to reverse this trend? Not Ashley. She says we should trust her, even though her work resulted in a 30% drop in names over two years. If Pepper isn't willing to make a change, then something needs to happen to Pepper. Pepper Morgan Pressley: We get 70% of our new names from Omicron. Who else is going to deliver names to me? Show me! Meredith Thompson: I think it's obvious who is accountable here. It's Omicron. Glenn Glieber: I think we're done here. I know what I need to do. Look at this business. Over the next five years, the business is projected, via measurement of annual repurchase rates and new customer acquisition, to shrink from $34 million to $31 million. In other words, this business is dying. A logical person might ask how many new customers need to be acquired, in order to cause the business to grow by 10% in the next twelve months? You need a 26% increase in new customers to get the business to grow by 10% in the next year. This, then, becomes your objective. In another run, I learned that the business needs a 10% increase in new customers in order to stem prior year demand losses. Objective: Increase sales by at least 10% by increasing the number of first-time buyers by at least 10%. Exceeds Expectations = More Than A 30% Increase In New Customers. Meets Expectations = A 10% To 30% Increase In New Customers. Missed Expectations = Less Than A 10% Increase In New Customers. From a bonus standpoint, I'd pay 100% of the annual bonus level if the company exceeds expectations. I'd pay 50% of the annual bonus level if the company meets expectations. I'd pay 0% of the bonus level if the company misses expectations. This allows every salaried employee to care about acquiring new customers. Suddenly, your email marketer is going to bring up ideas to grow the email list. Your creative staffer will want to know the style of creative that brings in new customers. Your merchants will want to know what new customers purchase. Your information technology team will care about improving the company database to identify the best selling items to new buyers. Annual objectives, especially those that yield bonus payments, are a powerful way to align all employees around a common objective that is directly linked to business improvement. A show of hands ... how many of you participate in a bonus plan of this nature? We keep reading that omnichannel is the secret to success. And in this release of 4th quarter results (click here), J. Crew references their internal omnichannel reorganization from channels to brands. And yet, in the years leading up to 2014, J. Crew was profitable and trendy and received a lot of great press. Now, in the omnichannel era, J. Crew is losing money and posting negative comp store sales. If omnichannel was the answer, then both brands would be thriving, right? But when we see one brand thriving, and one brand struggling, we learn a lot about business success. We learn that merchandise and creative strategy and story matter greatly ... everything else ... not so much. How much time do you spend in meetings each week talking about marketing theory and omnichannel business alignment? How much time do you spend in meetings each week talking about merchandise and creative and the story you tell customers? Be honest. At a recent conference, I was asked several times what types of projects I perform for clients, and was asked how much my projects cost. "It's hard to tell what projects you offer on your blog, Kevin." ... was the phrase I heard. 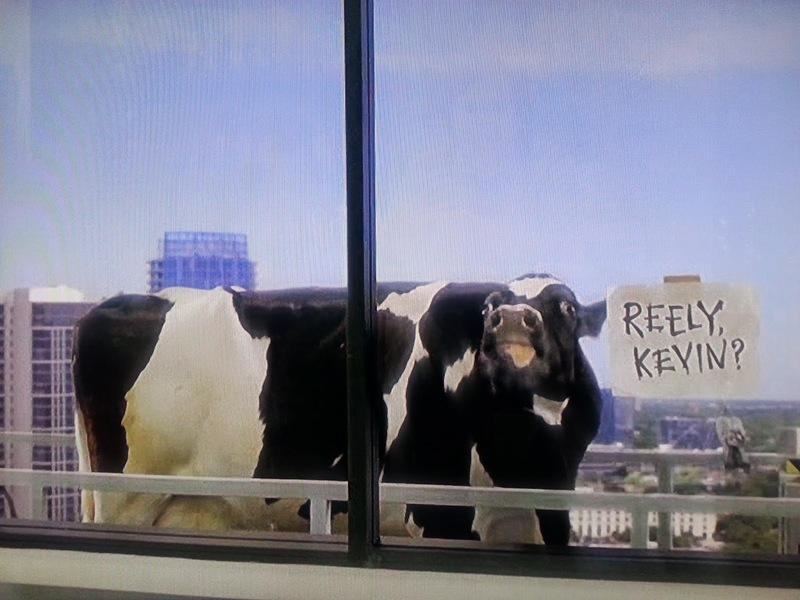 Some felt a bit like the cow in this TV commercial, when trying to navigate my product offering. Well, you can click here for file layouts and project prices. As most of the audience knows (many of whom are long-time followers ... for nearly a decade), there are +/- a half-dozen projects I typically work on for clients. Most Popular = A Hybrid of Merchandise Forensics and Business Diagnostics. Half of my projects have become a fusion of the two successful booklet concepts. Most Profitable = Catalog Contact Strategy (an average of $1,000,000 profit or much more for a $100,000,000 catalog business). 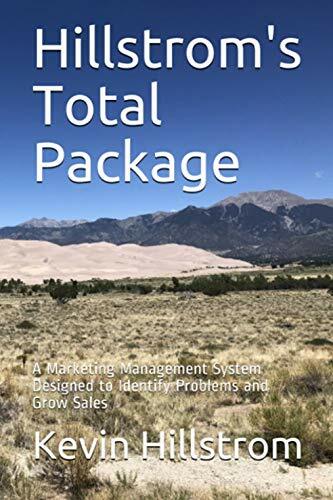 Most of the profit comes from optimizing contacts across a quarter/season/year ... very little incremental profit comes from optimal rank-ordering of customers from best to worst within a mailing. Business Evaluation: I run numerous business evaluation projects each year for business owners and private equity organizations. Selling? Buying? Contact me. 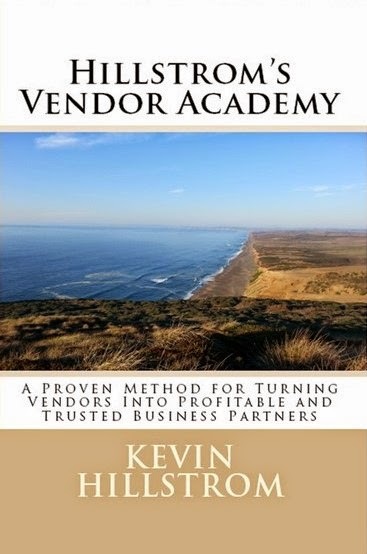 The Newest Project = Hillstrom's Vendor Academy. Click here for pricing options. This is going to be a very popular project, given the feedback I've already received. And the project cost is reasonably inexpensive to boot! Ad-Hoc Projects: If you don't have a specific project in mind and simply want a series of business issues solved, then click here and read down the Ad-Hoc column. I perform a half-dozen ad-hoc project per year. Consulting Visit: Some folks bring me in for a day of consulting. 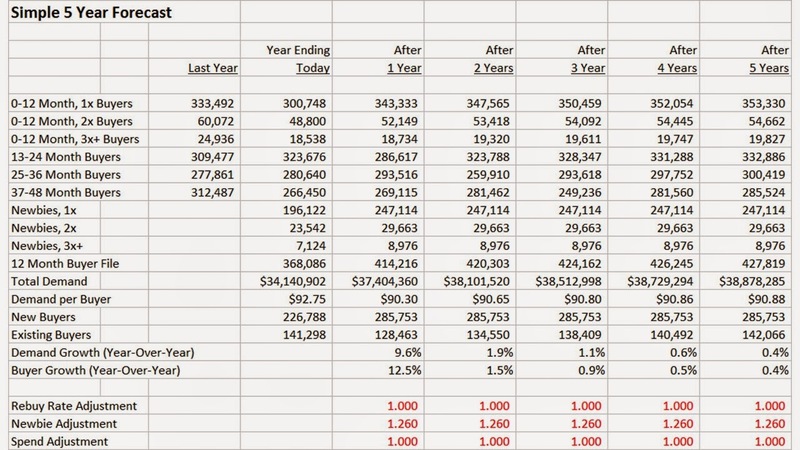 Monthly Retainer: A handful of businesses pay a monthly retainer - I then analyze whatever the client wants analyzed - retainer is pre-paid and is non-refundable, so be sure to use your time!! Coming This Year: Hillstrom's Sports Commerce will focus on the analytical issues inherent in measuring the performance of an e-commerce website or retail store that caters to sports teams. Most of the modern analytical breakthroughs in analyzing baseball, basketball, football, hockey, and soccer apply directly to analyzing an e-commerce customer shopping from a sports commerce website. Coming This Year, Part 2: Hillstrom's Triggers will illustrate a methodology for identifying when customers are about to exhibit key behaviors, so that you may set up triggers that capitalize on anticipated customer activity. As you can see, there's a lot to choose from. So pick something and let's figure out what is going on with your customer file - my busy season starts in about four weeks, so get your requests in soon (kevinh@minethatdata.com). As you know, Lands' End went "dark" while it was fully owned by Sears. Having been spun off, we can now compare net sales and ad costs and the like, before going dark, and after emerging from the darkness. Somebody at Chico State was nice enough to archive this Annual Report from 2001 (click here). And here's the Lands' End annual statement through 2013 (the 2014 annual report is due shortly). There are two things worth noting here. Lands' End was not a promotional company in 2001. Lands' End became a highly promotional company by the end of 2013. 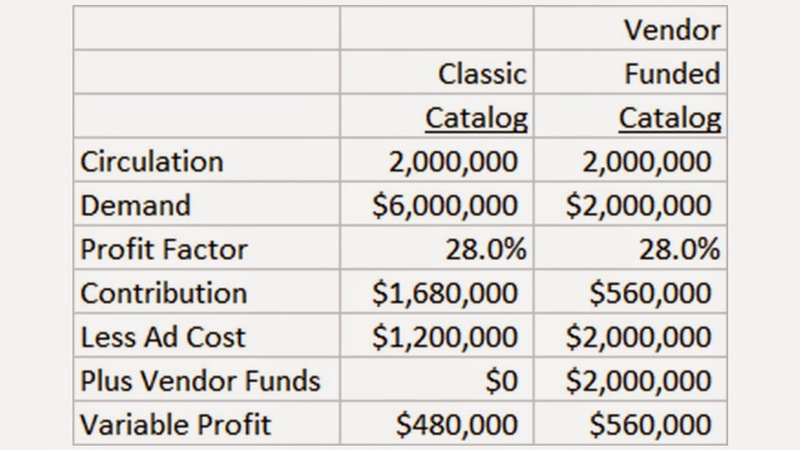 Lands' End was a classic cataloger in 2001, with online sales being +/- 20% of the total. Lands' End was a classic omnichannel brand in 2013, with a presence in more than 200 Sears stores, and an e-commerce channel capturing the vast majority of direct channel sales. The pundits tell you that you have to be promotional. The pundits tell you that you have to be "omnichannel or die". Given what the experts tell us, it should be a no-brainer that Lands' End experienced unfettered growth over the course of more than a decade, right? Catalog Marketing Costs = $218,000,000. Total Marketing Costs = $199,000,000. That's a compound annual growth rate of 0.6% ... you add dozens of e-commerce marketing channels ... you add hundreds of stores ... you add discounts and promotions that didn't previously exist ... you add dozens of social media channels ... and you add a fully functional and fully multi-channel integrated 24/7/365 website ... you add mobile. Heck, you've added a lot, don't you think? Shouldn't all of that nonsense result in a doubling of this business? You do everything the pundits tell you that you have to do, or your business will die. I know, I know, you want to blame Sears. STOP IT! Sears / K-Mart combined still do north of $30,000,000,000 in annual net sales. Yes, thirty billion. THIRTY BILLION! Does your business generate thirty billion in annual net sales? So there's retail benefit via Sears that should lend itself quite nicely to the omnichannel thesis. Lands' End, one of the great direct marketing brands of our time, an omnichannel pioneer, cannot grow by using pundit-centric omnichannel strategies. But you're supposed to implement omnichannel strategies or your business will "die". Uh huh. Please think carefully about what you're being taught about success. Is it possible that you're being taught tactics and strategies that benefit trade journalists, vendors, consultants, and research brands far more than the tactics and strategies benefit our companies? Focus on demographics, merchandise, and the story you tell the customer. That's where the profit is. Tell me what the story is that Ann Taylor is communicating to the customer? One of the key themes you see across retail is that merchandise does not matter. Company after company assumes that the customer knows what you sell, loves what you sell, and simply needs to be teased from a discounting/promotional standpoint in order to buy something. Maybe this is the right thing to do. But it is worth questioning the assumption. Ask yourself what the story is that you are communicating to the customer? Ask yourself if the story is compelling? 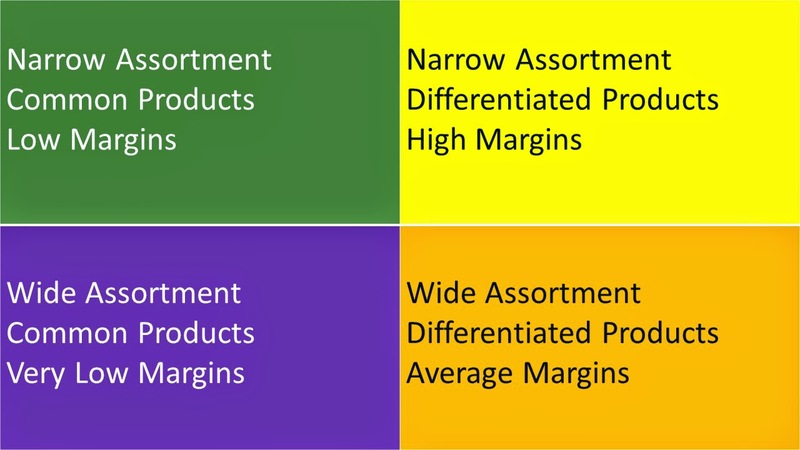 Ask yourself if your customer possesses true knowledge about your merchandising assortment? Ask yourself if your story differentiates you from your competition? We talked about the story that Macy's tells. What story does Patagonia communicate? Be honest! Patagonia is asking you to watch a video before you even consider purchasing merchandise. I'm not saying this is good/bad, how could I possibly know, right? I am asking you to think about different possibilities. This is pretty much the exact opposite of the Macy's example. Any trained monkey can throw discounts and promotions at a customer, that doesn't take any marketing expertise whatsoever. But to put together a compelling brand story that a customer cares about? That's hard, risky work. If you succeed, and "if" is they key word there, you differentiate yourself. We're heading toward a world of sameness. Same products, same companies, same channels, same prices, same promotions. The industry is demanding sameness - it helps vendors sell solutions, no doubt about it. But we're going to have to do something different, aren't we? This is one example. 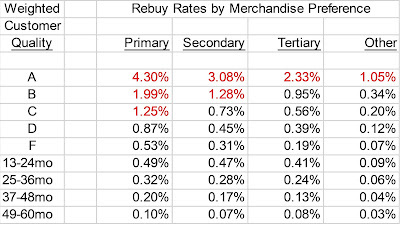 We each need to come up with our own version of being unique, or we're all going to struggle with tepid repurchase rates. 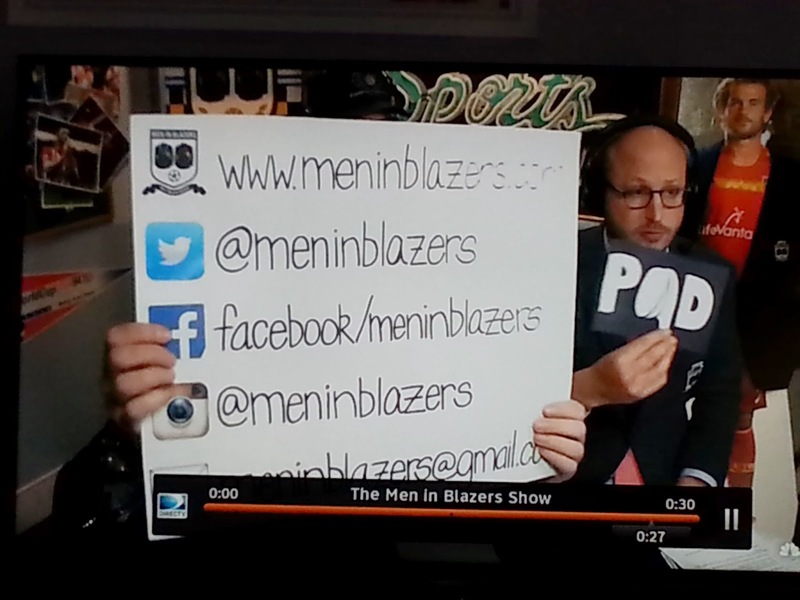 Here's a TV show that +/- 50,000 people watch each week (click here), the Men in Blazers Show. Yes. And it is my favorite show on television. The industry is going to demand that you create a seamless shopping experience across channels ... omnichannel. There is just one problem with this moribund tactic. What happens when everybody sells essentially the same thing at the same price in the same channels with the same delivery standards? Why should somebody buy a widget from you at $39.99 when twelve other companies all sell the same widget or a similar widget for the same price with the same options in the same digital/physical channels? In other words, you're going to have to do something very, very unique, in order to capture the attention of the customers you care about. Not all customers. Just those you care about. 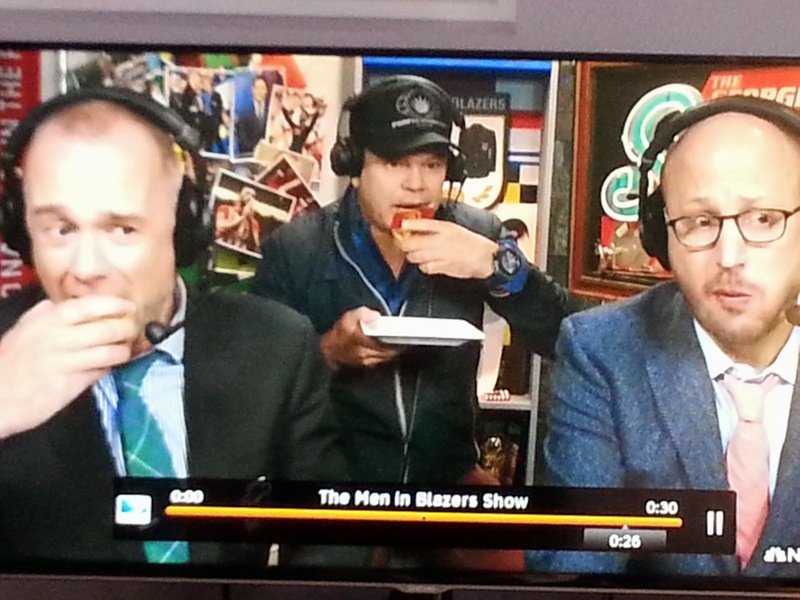 This brings me to the Men In Blazers Show on the NBC Sports Network. These folks do not follow best practices, that's for certain. But they do utilize an omnichannel approach - something that should warm your heart. And they advertise their omnichannel digital approach at the end of the show ... website ... Twitter ... Facebook ... Instagram ... email via gmail ... and their podcast. Here's a link to their website (click here) - where you can get access to their many different omnichannel strategies. They sold ties - limited quantities, which creates urgency, right (click here)? They sold mugs (click here). Their weekly podcasts (click here) are enjoyed by a larger audience than their TV show, if you can believe that ... an average of +/- 100,000 fans a week. Here are some items that you can buy on Amazon, and if you buy them (click here), Amazon sends them a few crumbs/coins. You can sign up for their newsletter, "The Raven", and become a "Great Friend of the Pod" (click here). You can join them at events like SXSW. By the way, the 100,000+ who follow them on Twitter have been treated to more than 19,000 tweets ... let that one sink in for a moment. Why share all of this with you? 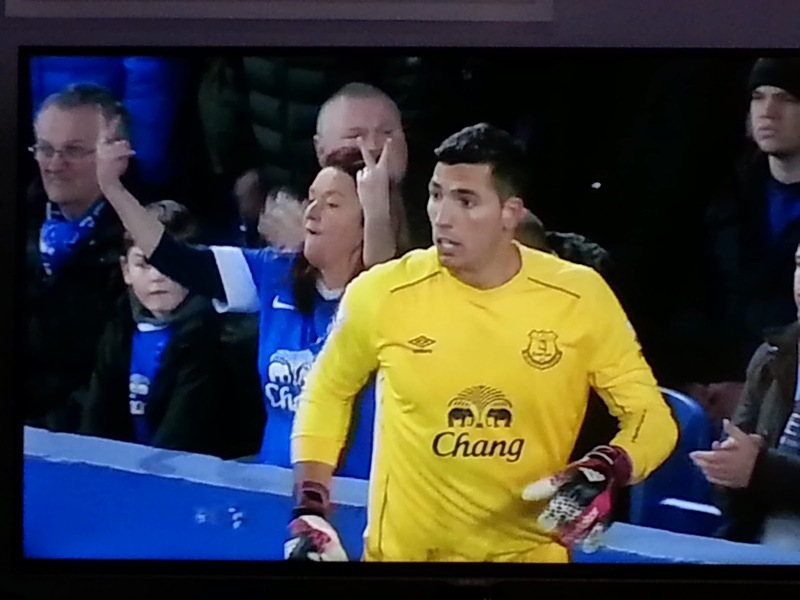 These two fans of English Premiere League soccer are creating a world around the league ... using comedy, and pointing out unusual fan gestures where applicable. Again - they are creating a world around a product. They even include pies at the end of the show, when talking about next week's fixtures. I know - that's a lot of silliness. But it is a story that is created around the core product. It's not just a dozen channels of sameness, of boring selling. No. And the content in each channel is different - not the same as you are being taught. Make no mistake - this is a story. And it turns out that these aren't just two rubes off the street - no, they have decades of television experience (Who Wants To Be A Millionaire), and one (left) owns the production company that supports "Comedians In Cars Getting Coffee" with Jerry Seinfeld, and Katie Nolan's "Garbage Time" which now airs on Fox Sports 1. In other words, these two individuals have decades of experience ... they have a passion for the product on their network (English Premiere League Soccer) ... and they created a world around the product, using multiple channels and humor. Did their strategy "scale"? Absolutely not. And who cares? The vast majority of you reading my blog do not work for businesses that "scale". You need ideas that specifically relate to your audience, and to your prospect audience. What is the story you are telling your customers and prospects? What is the story you see here, for instance? And when you drill down to a specific item, what is the story being told by those writing copy about this item? Be honest! 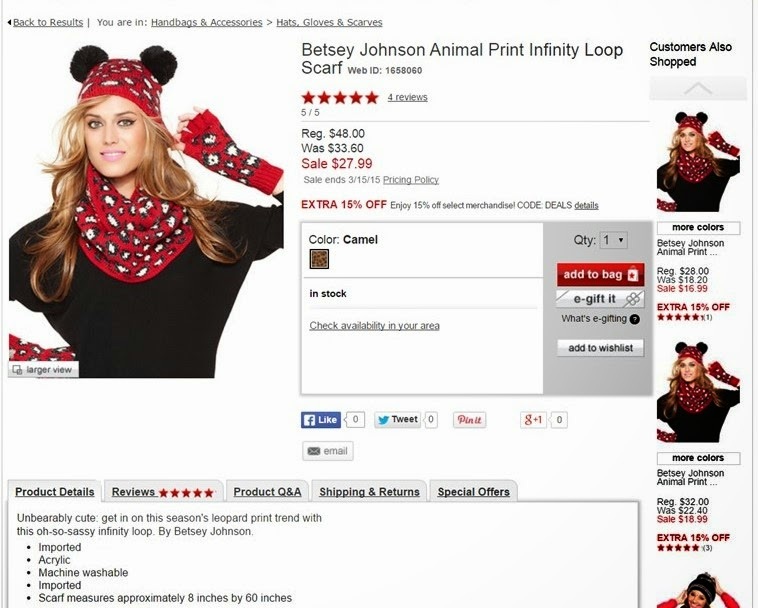 Mega-brands like Kohl's can get away with this. You cannot get away with this. So you have to tell a story. Your future world is one of sameness ... a tepid omnichannel bath featuring the same items at the same prices in an infinite number of similar channels. What, specifically, will cause your brand to stand out in that world? 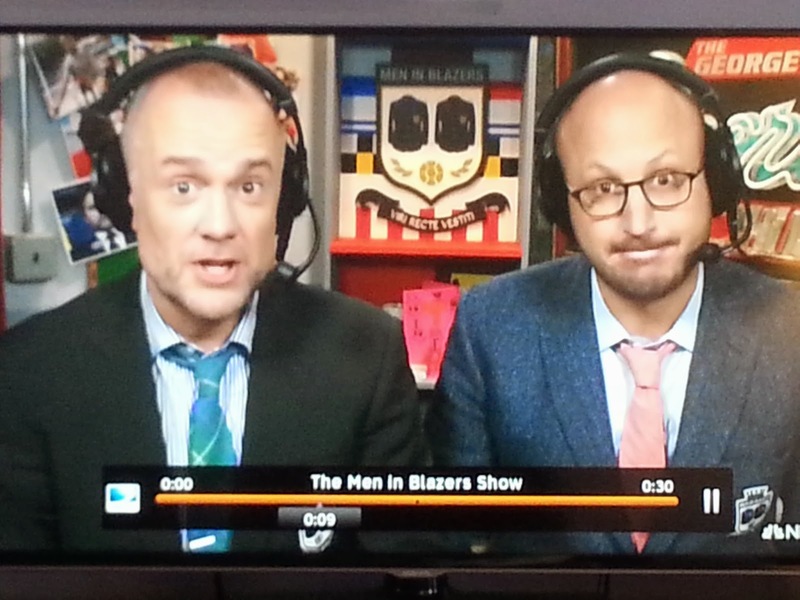 Use the Men in Blazers as an example of not "how to", but as an example of "doing something different". Your omnichannel future leaves you with no choice but to ramp up your storytelling skills. Don't fall for a soulless, cold, antiseptic digital future where you can have whatever you want whenever you want it. You don't want to create an experience so unsatisfying that only companies with human stories will stand out. "What is your problem with vendors? Why don't you like vendors? You've got to admit that clients are dumb, right?" Ok, that's a bit of a paraphrase of a handful of tweets from one individual, but you get the picture. Let me make something very clear. There are two types of companies that support my clients. There are "partners". Partners deeply care about my clients. They do anything to help my clients. They try hard to act like a client employee, or better. I make the distinction very clear in the booklet (click here to purchase the booklet). A vendor (in the catalog world) takes names that you give them for free and sells them to online companies so that the online companies can put you out of business, and then looks you in the face and tells you that this practice is ok, and of course, it is ok ... for the vendor ... because the vendor gets paid twice ... from you ... and from your online competitors ... while you give the vendor your most important asset ... your customer file ... for free. A vendor lists a price at $100,000 so that stupid clients pay $100,000 ... and then negotiates the price down to $70,000 for average clients and negotiates the price down to $35,000 others and gives the product away for free to clients they wish to publicly attract. The vendor does not tell anybody that any of this is happening. A vendor tries to bribe somebody like me (one of the co-ops tried this) to tell my clients that they should work with the co-op. A vendor "bundles" services to make their overall offering look more attractive, when the additional services do not cost money. A vendor lies to you. Right to your face. Numerous folks on Twitter have told me that their vendors do this, and that they have caught vendors in lies, and the vendors don't care. A vendor does not publicly state what their prices are, but demands that you offer an omnichannel solution with transparent pricing. Let that one sink in for a moment. A vendor tries to "lock you in" to a long-term solution that benefits them, not you. A vendor calls somebody like me and tells me that they will put me out of business, so instead of dealing with something that messy, the vendor asks for full access to my client list so that the vendor can sell into the client list and then that frees me up to work on other projects. A vendor offers an "advisory board" position, and in exchange, asks for full access to my client list so they can promote products and services to my clients. A vendor sits in a meeting with me and my client, and tells the client, while I'm sitting there, that they studied the work I did for another client (which was under non-disclosure on both ends) and determined that they can do the work better than I can, so they ask the client to work with the vendor and not me - and yes, I'm sitting right there in the meeting, so imagine what the vendor says when I'm not there? A client asks me to evaluate a vendor. I tell the client to keep working with the vendor. And then, at NEMOA last year, the vendor publicly berates me in front of the client I just recommended the vendor to. A partner does none of the above. Is it clear, now, what the difference is between a "vendor" and a "partner"? Use the comments section to publicly laud honest partners. Please - do it!! Who do you love to work with? Name the vendors ... and name the individuals who provide outstanding service. Let's publicly praise those who work ethically, and do good - those are the folks who deserve our business. Please tell me what the story is that they are communicating to the visitor? Be honest, please. Macy's assumes that you already believe that their merchandise is fantastic - that's part of their story - they want to tempt you with discounts and promotions. That's the story. Now, let's click through to an item. Read the product details. What is the story you are being told? Large companies can get away with not telling a compelling, passionate story. You, however, cannot get away with it. The industry (not the customer) is going to force you to be "omnichannel". The industry will force you to sell in all channels. The industry will demand that you homogenize all products across all channels at similar prices with the same promotions and the same creative. The industry will push personalization and engagement and content and social and mobile and big data on you. The industry will tell you that "the customer", whoever that is, demands this outcome. So you'll pursue this outcome. So will everybody else. What do you do in three years when you are getting closer to achieving somebody else's omnichannel vision - and every other company has done the same thing? You will all sell similar products. You will offer the products at similar prices. You will all have some version of free shipping. You will all have faster shipping. Why would a customer purchase from you, when there will be twenty other comparable choices? We're heading toward an environment where the industry demands sameness, across the board. When everything is the same, we are going to have to do something different in order to stand out. That something could be the story we tell.